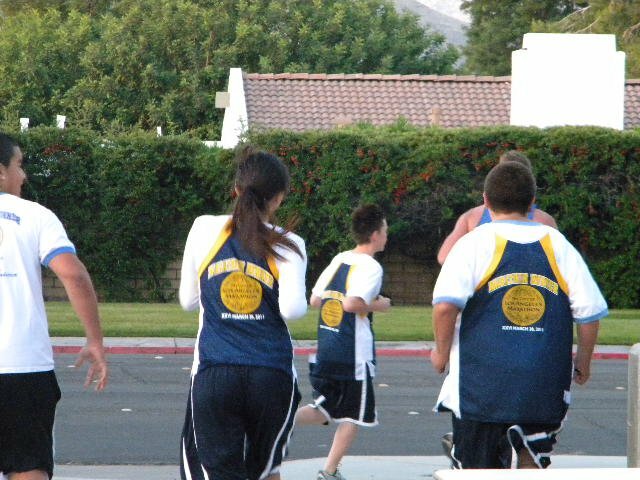 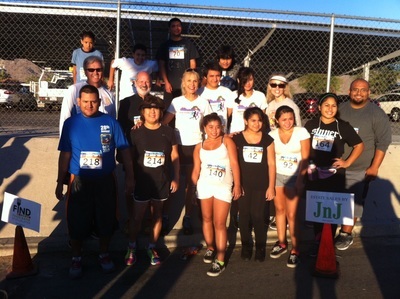 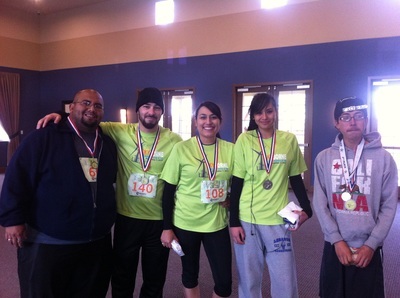 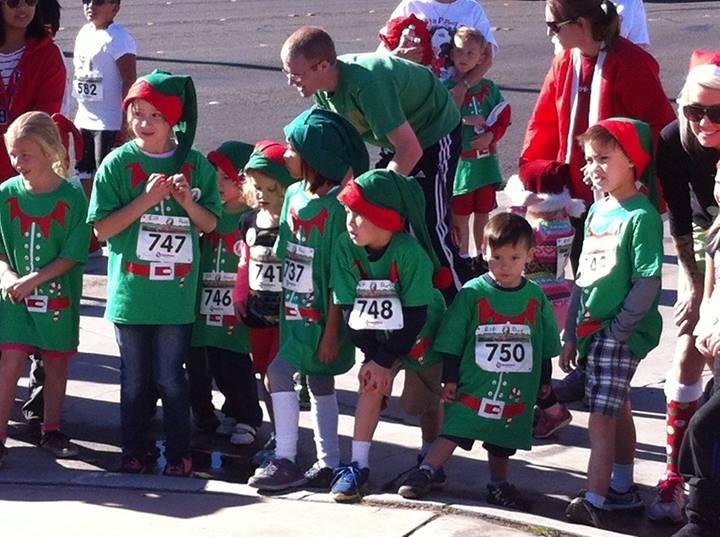 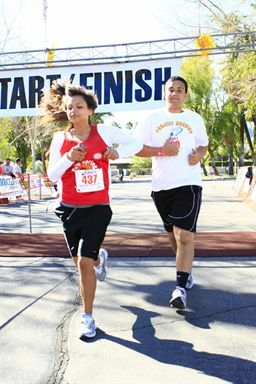 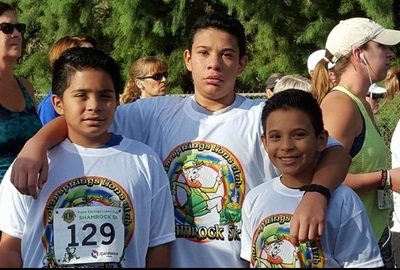 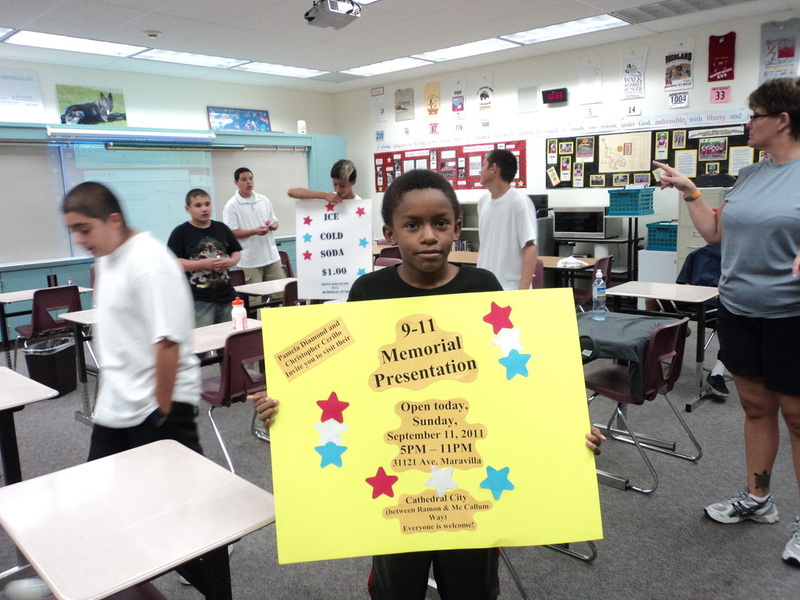 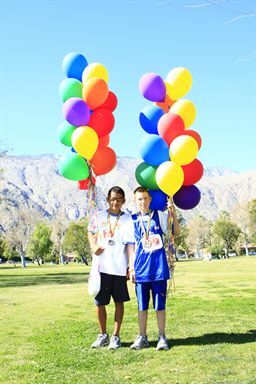 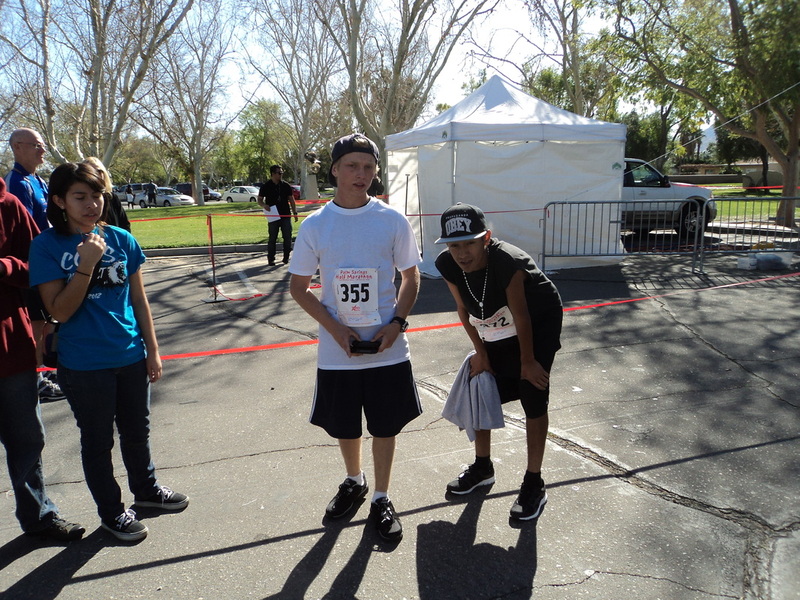 THE CONCEPT OF A RUNNING PROGRAM FOR AT-RISK CHILDREN was established in 2007. 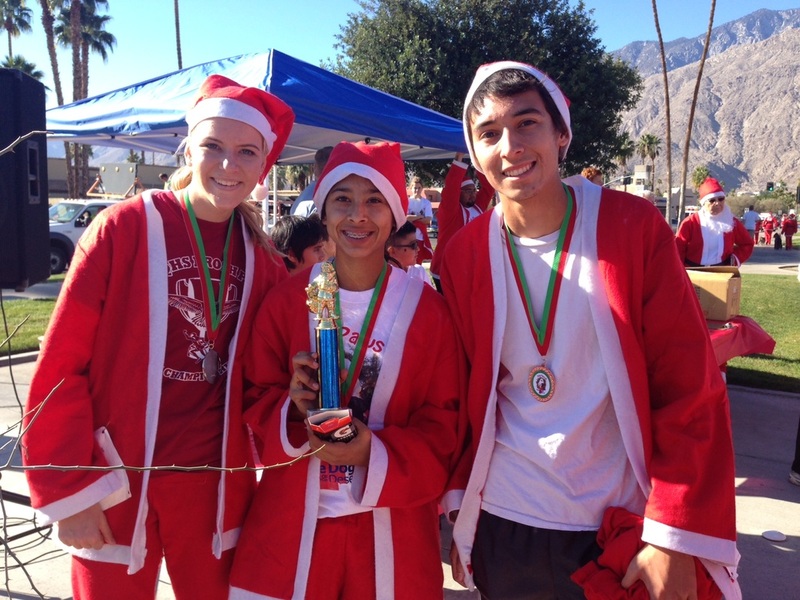 Motivated by an article in Runners World magazine, PSMR founder, Molly Thorpe created this desert program for at-risk youth. 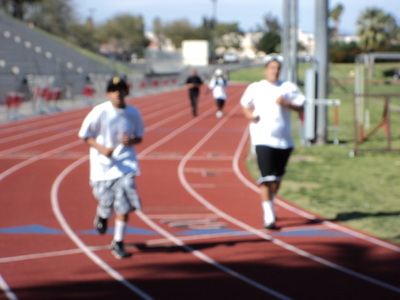 Volunteer mentors teamed with teens and young adults who faced tremendous personal challenges and worked together toward health, fitness and life-long goals. 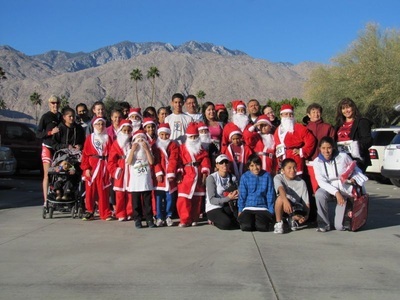 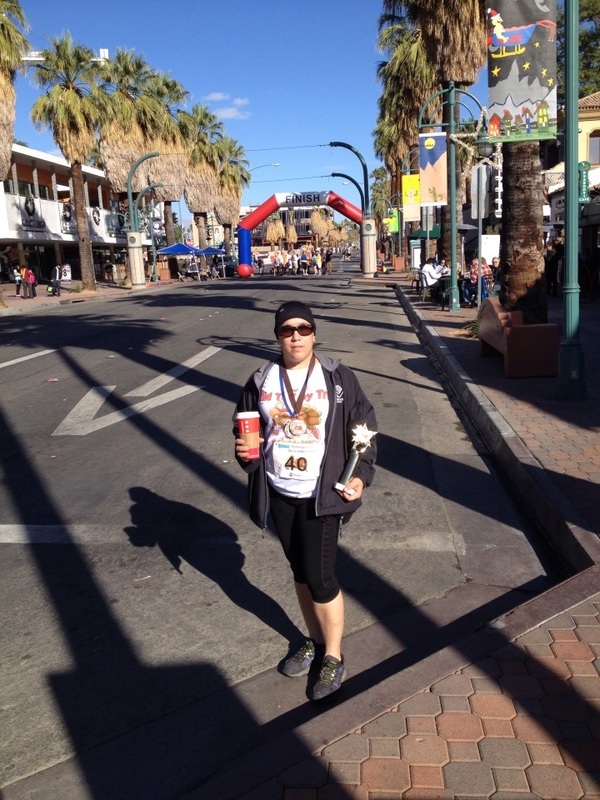 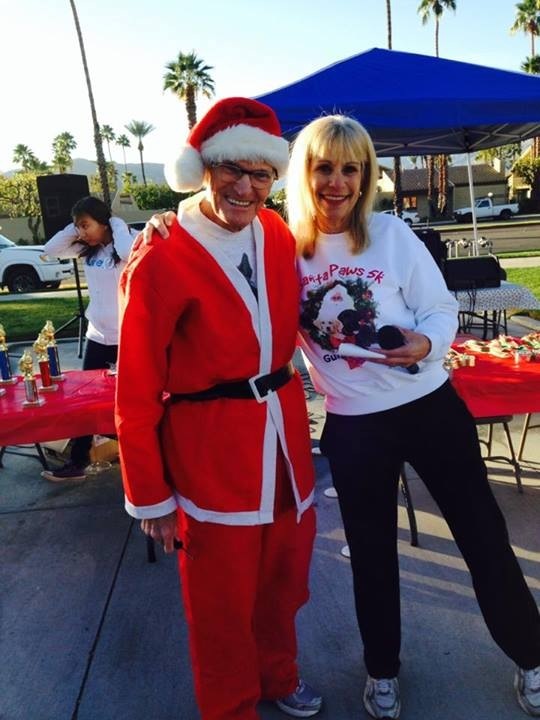 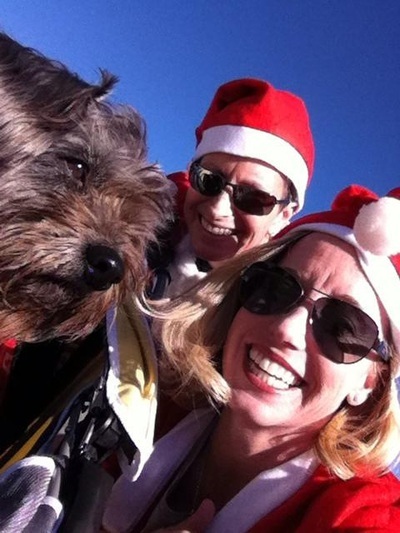 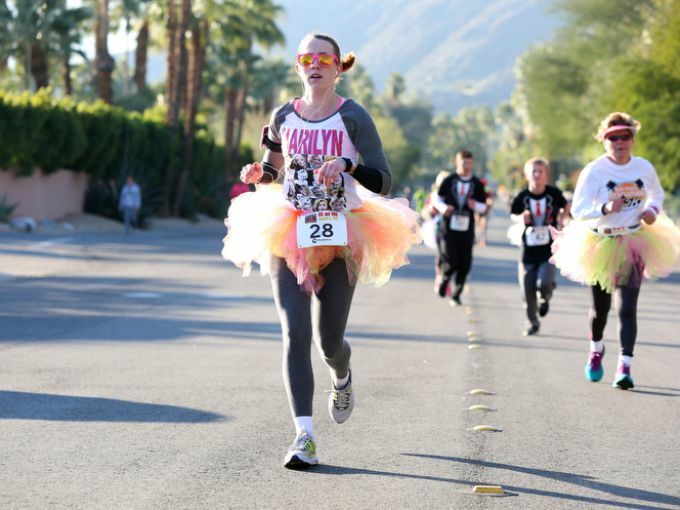 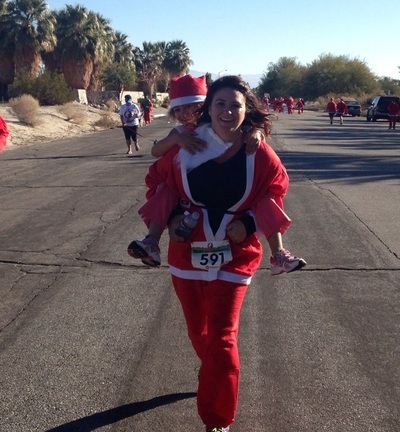 Molly's retirement from teaching ended this formal training program, but continues today as Palm Springs Marathon Runners provides school groups and challenged athlete groups reduced entry and running scholarships so they may participate in our races. 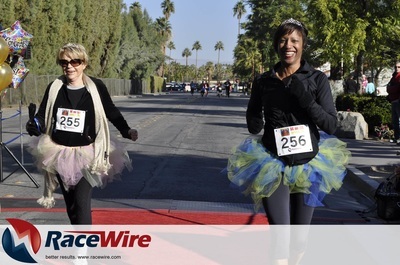 Additionally, PALM SPRINGS MARATHON RUNNERS supports community organizations by hosting six annual events: the GRAVEYARD 5K benefiting PSMR Run Scholarship Program, Veterans Day PATRIOTS 5K benefiting Armed Services YMCA, SOS Rides and Team Red, White & Blue, Running Wild's WILD TURKEY TROT benefiting the Mizell Center Meals on Wheels Program, RED CARPET RUN 5K & 10K benefiting the Palm Springs Internationl Film Festival Student Scholarship Fund and the Red Hot Ballroom Dance Program for elementary students and RUN for IKE benefiting the Palm Springs Police Department K-9 Fund and SANTA PAWS benefiting Guide Dogs of the Desert. By "giving back", we learn to be contributing members of our community; supporting charitable causes. 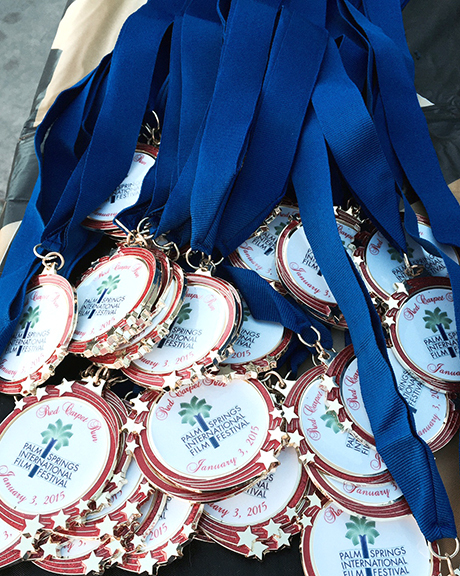 Our thanks to all of our loyal sponsors and participants for their generous support of our program! 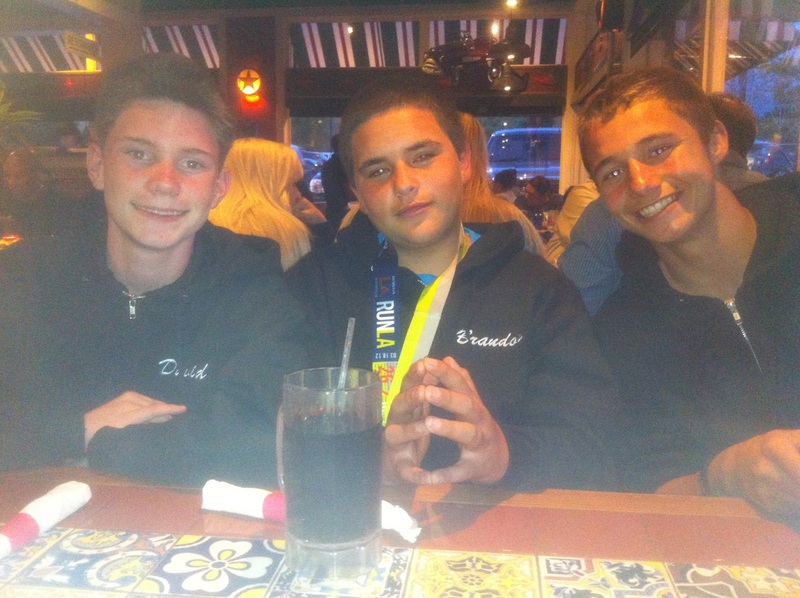 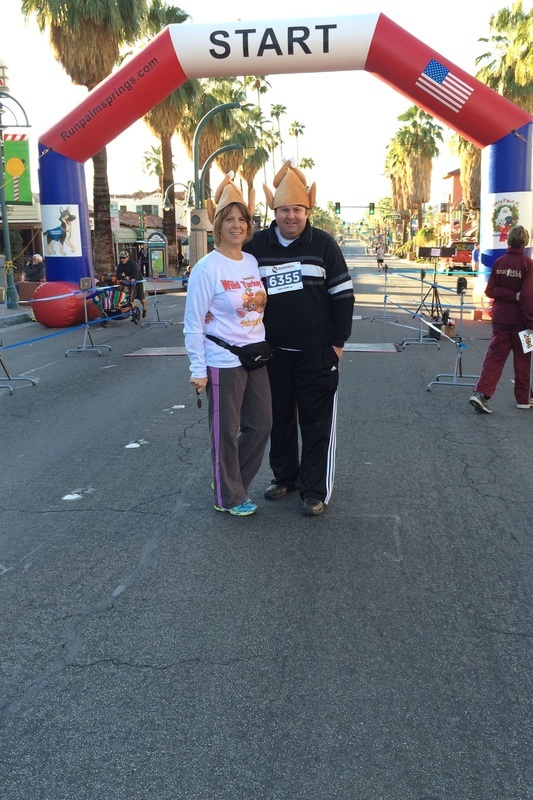 Although we began solely as a running team, over the years, we ventured into both biking and swimming. The diversity of these sports was a wonderful challenge. 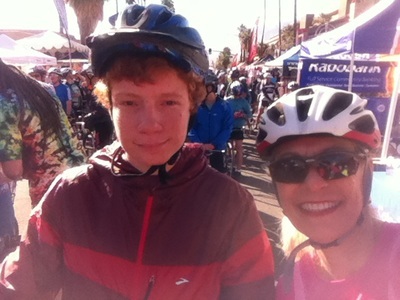 Many team members participated in the Tour de Palm Springs bike ride. 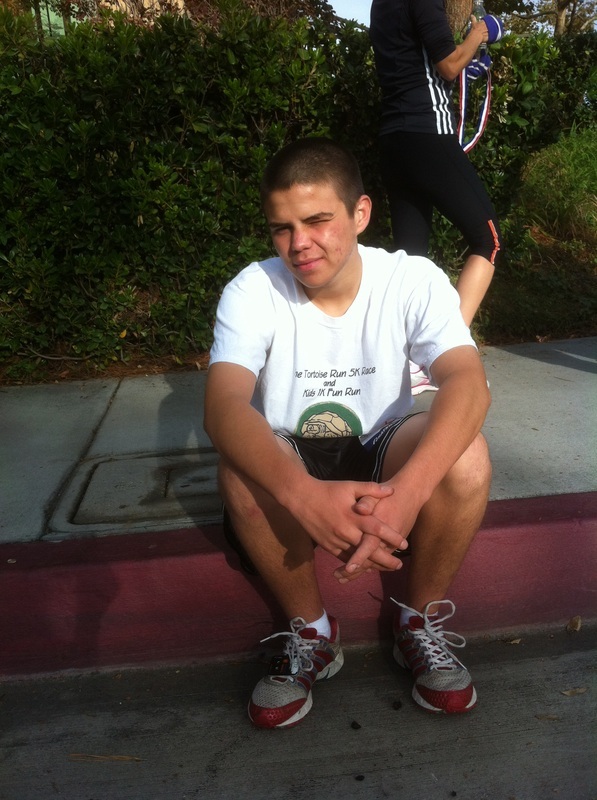 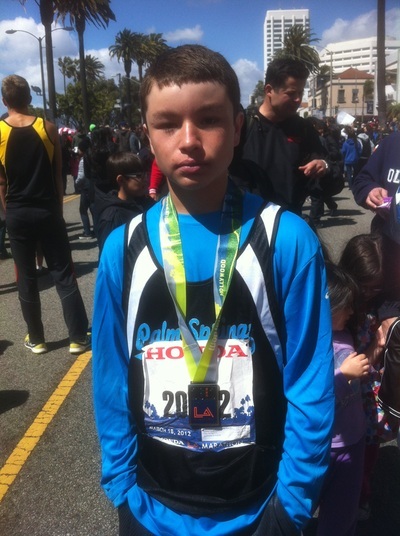 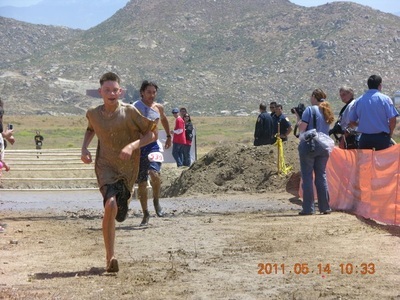 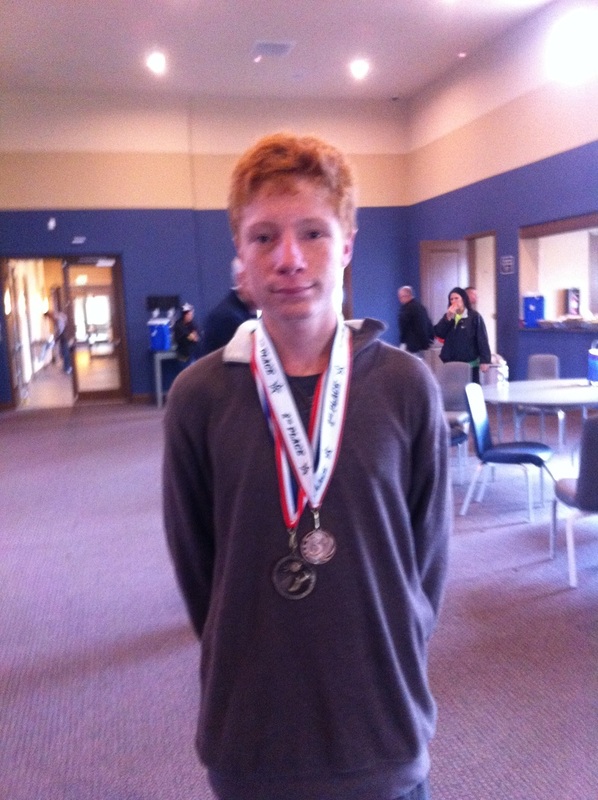 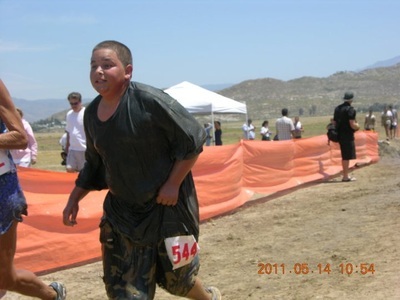 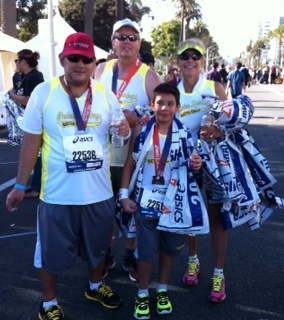 Pictured here is Anthony Marquez who completed the 56 mile route. 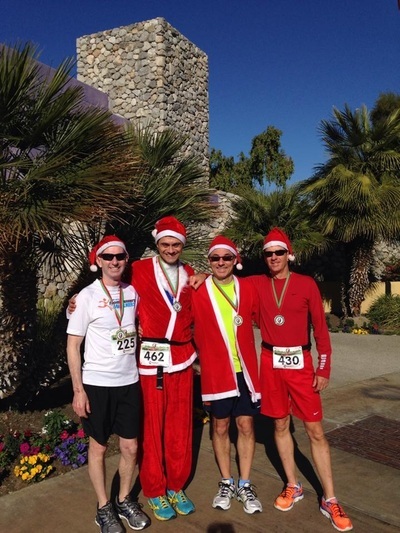 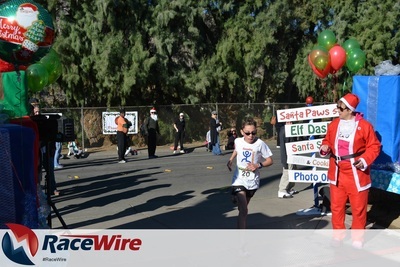 Team members have also participated in duathlons as well as reverse triathlons including Loma Linda's Possibilities, the Fontana Steelman and the Sunset Rotary Tinman. Team members enjoyed the challenge and the diversity of activities and have come to embrace the sport of triathlon. 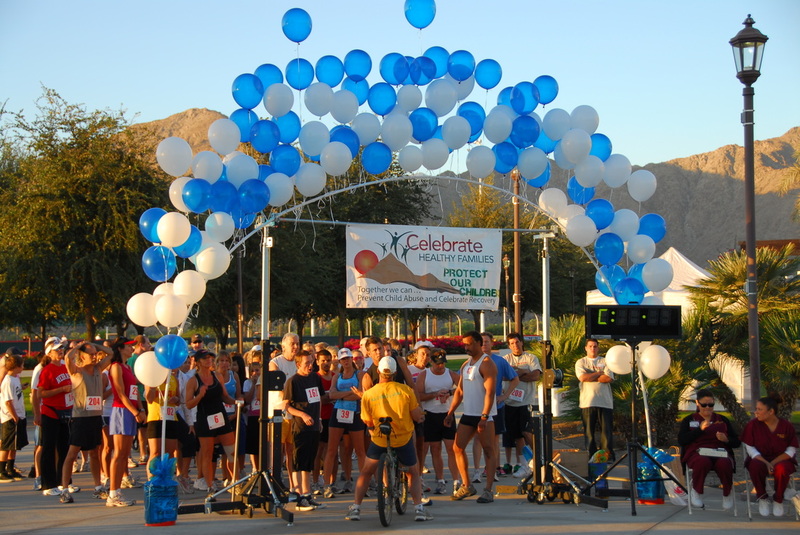 Our friends at Exceeding Expectations have supported our endeavors and invited us to participate along side them in many events. 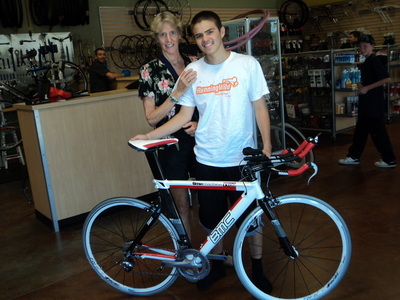 Our thanks to EE founder, Cherie Gruenfeld for loaning us bicycles and wetsuits and sharing her knowledge and experience with us. 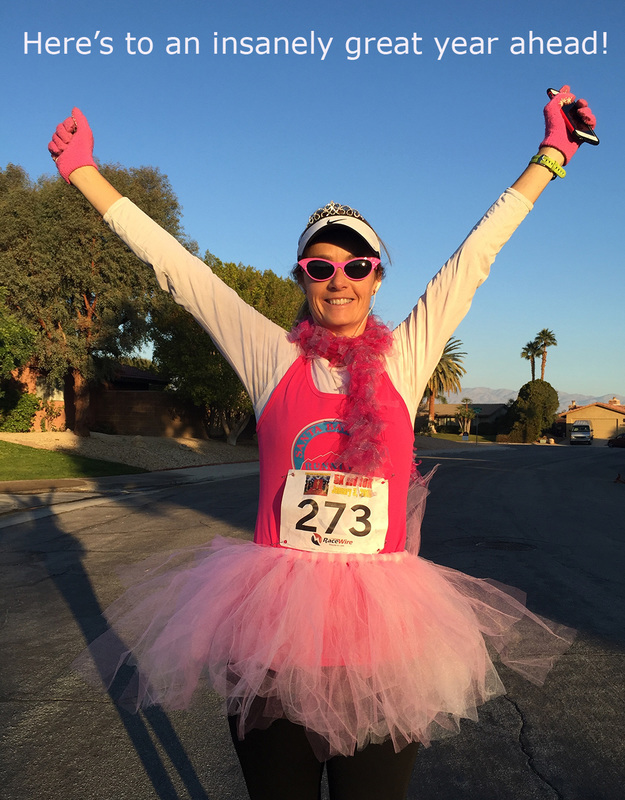 She has opened our eyes to a whole, new realm of possibilities! 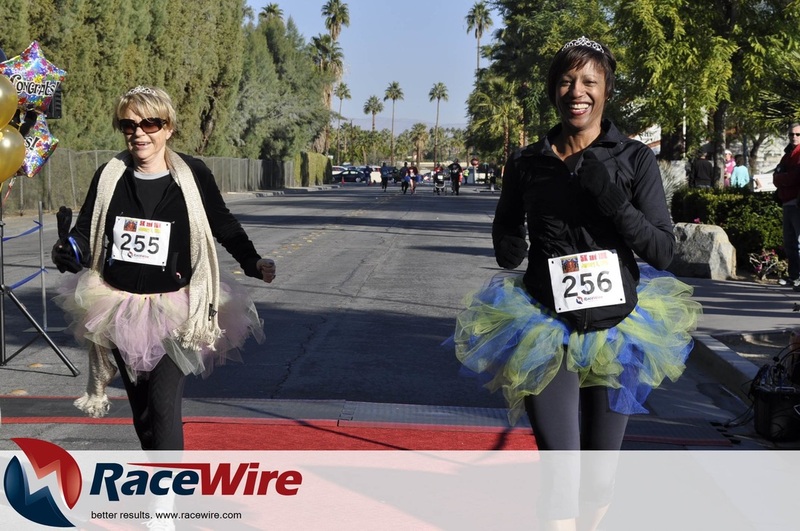 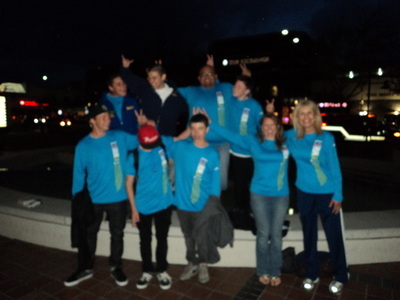 Stroll down memory lane with many of our team members at their past events. Teens who find a positive outlet for their energy stay better focused, have a higher high school graduation rate and are able to better overcome societal obstacles such as a challenging home life, smoking, drugs and gangs. Running can be one of many healthy outlets that help students stay on track through their high school years and adulthood. 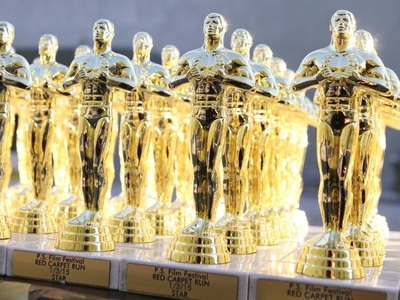 We congratulate our former team members. Many have already graduated and gone on to attend and graduate from college and start families and careers of their own. Our Team Pledge outlines the goals we have for our teammates: "I work hard and I stay storng. 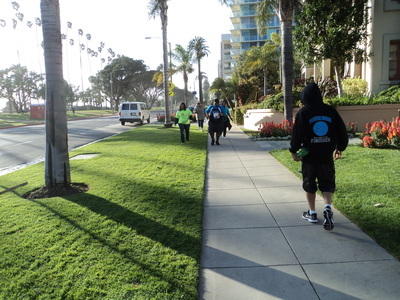 I choose the path or right not wrong. 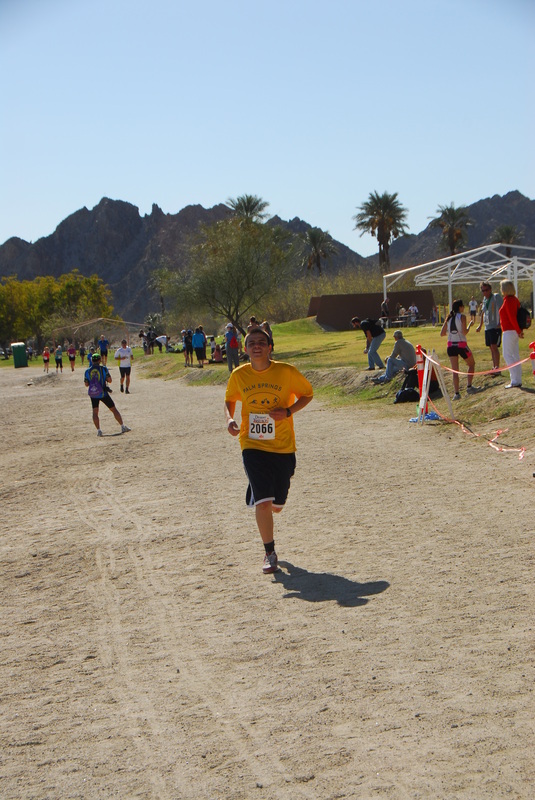 I'll stay the course and do my best. Achieving goals is my quest. 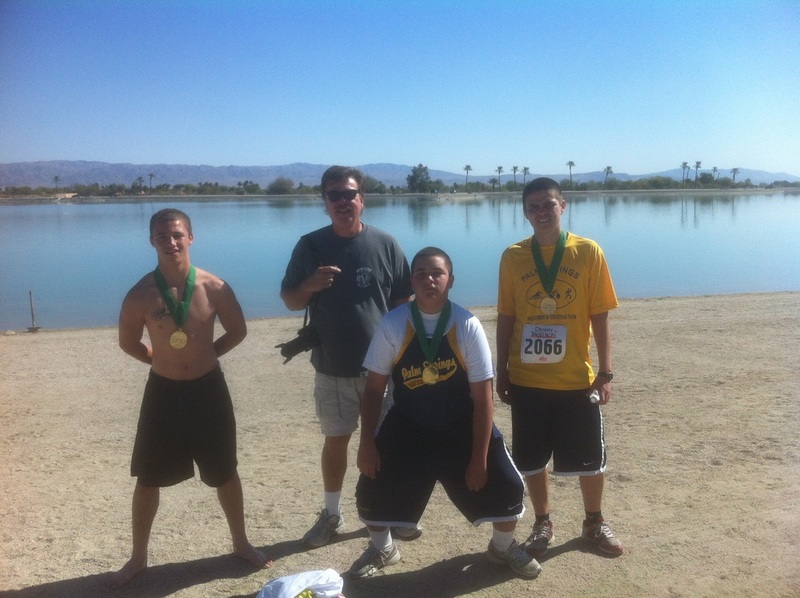 I can realize any dream as I bring honor to my team. 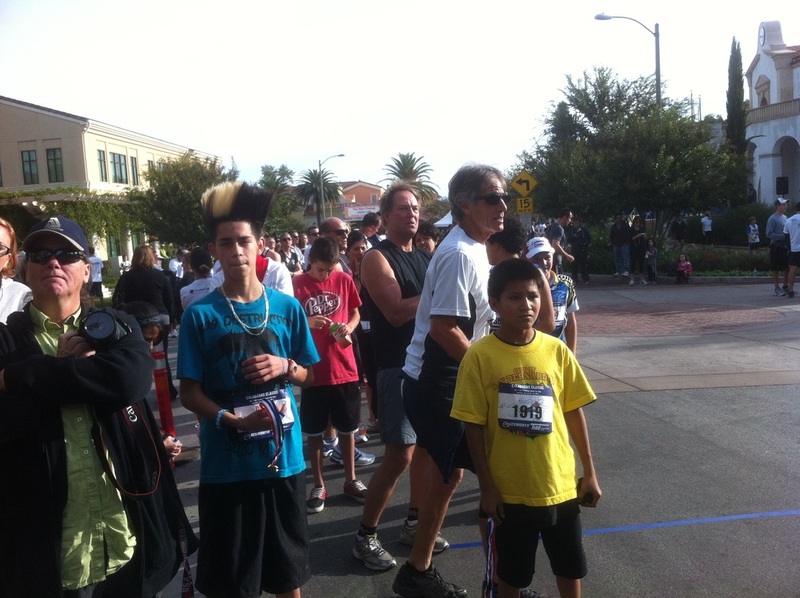 Honest, loyal, faithful, proud - Hear me as I shout aloud - I am a student runner". 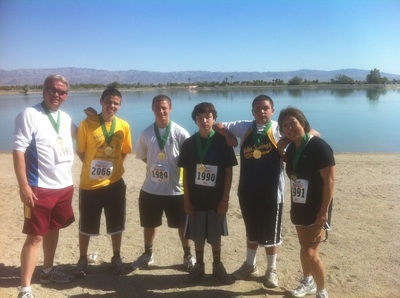 1st Annual Run for Ike May 12, 2011. 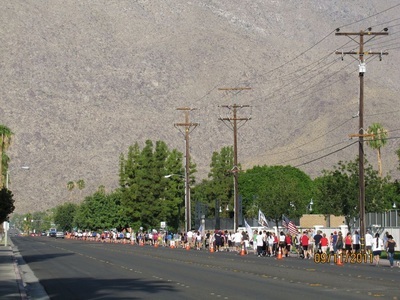 Our team was participating in Loma Linda's Possibilities Triathlon when we heard the news of a shooting in Palm Springs. The officer was hit, but uninjured as his bullet-proof vest protected him from serious harm. 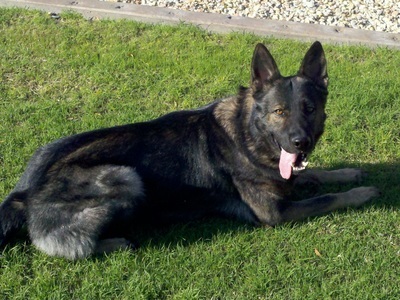 Unfortunately, his loyal K-9 partner, Ike, was killed. 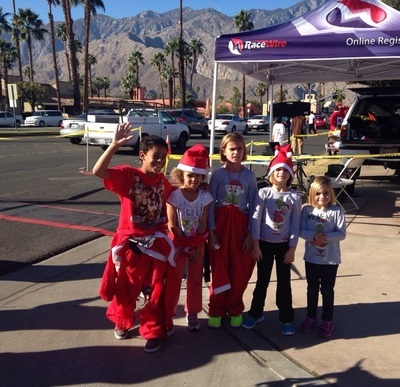 When we heard this new, our youngest team member said, "Oh, no! " "Not the dog!" 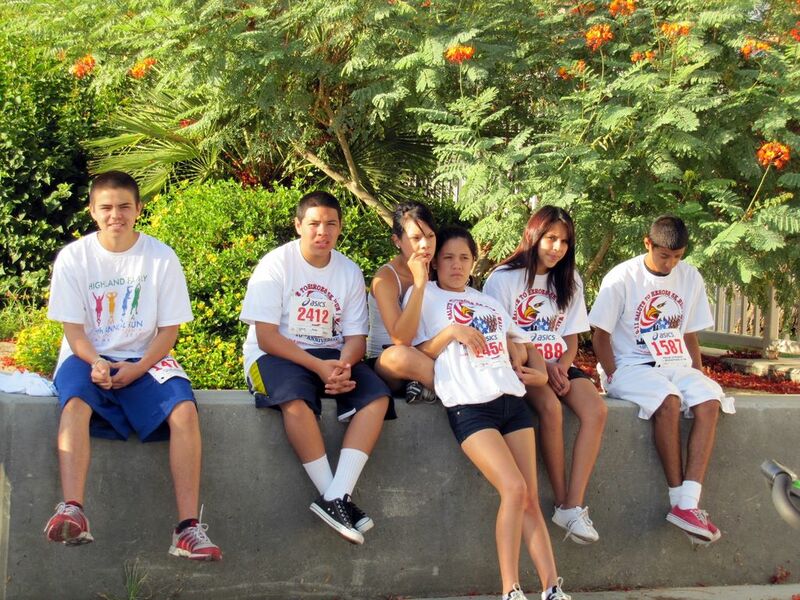 "I wish there was something we could do". 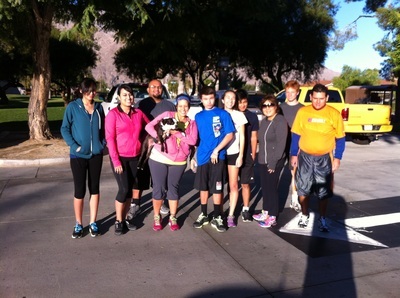 That next morning, I went out for a run and decided that we could do something--and the idea of RUN FOR IKE was born. 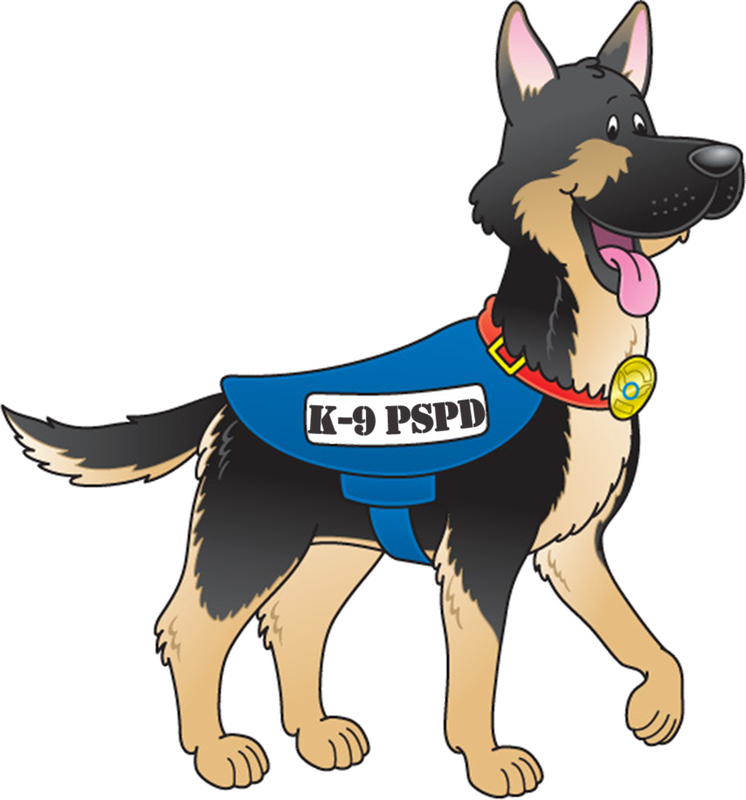 Now, in its 7th year, PSMR has raised over $60,000 for the Palm Springs Police Department K-9 Fund. No one in our organization is paid a single penny for their work in coordinating this event. 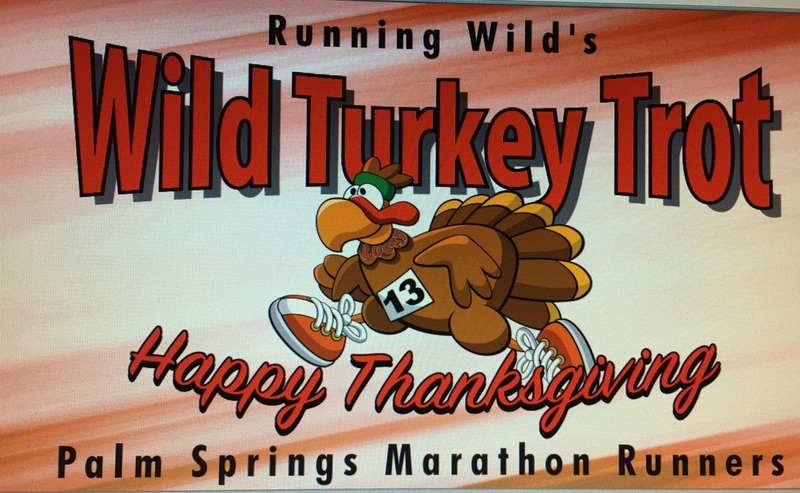 Our deepest thanks to our sponsors for their continued support. 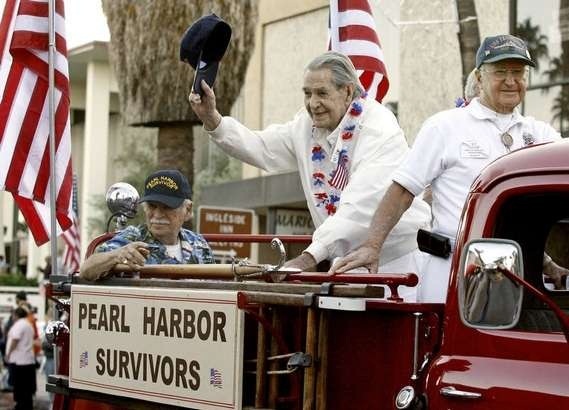 Without them, this event would not be possible. 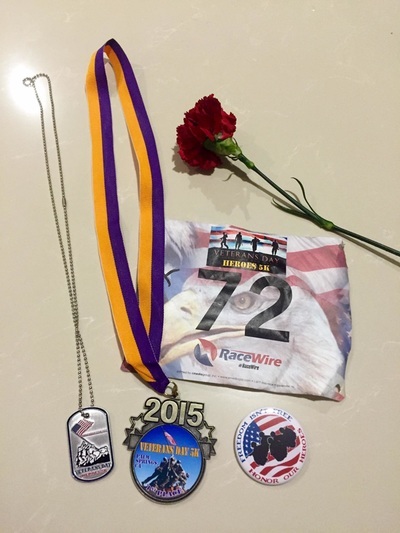 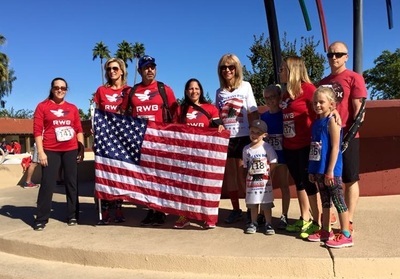 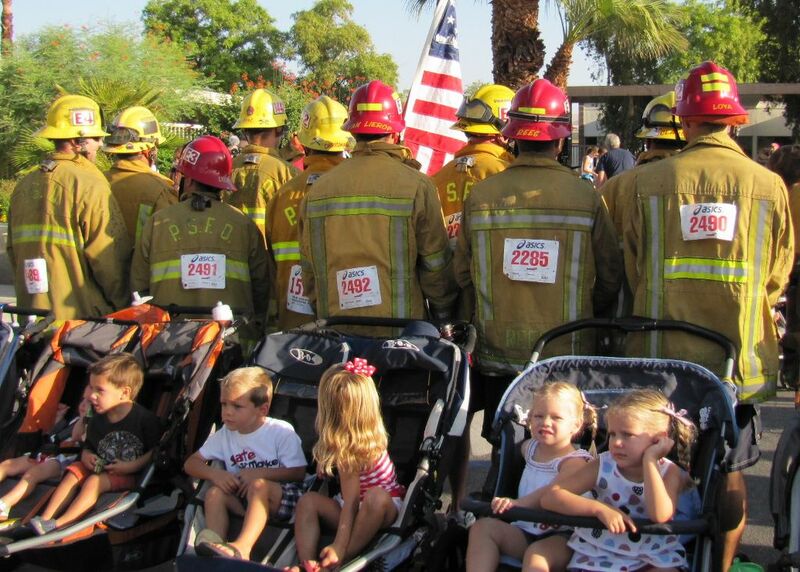 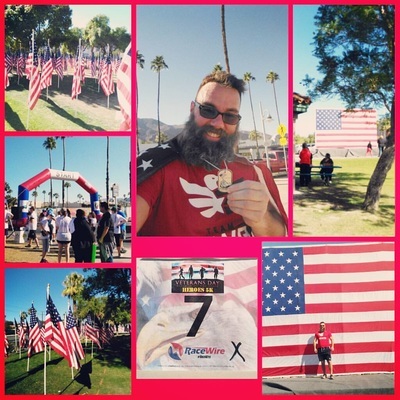 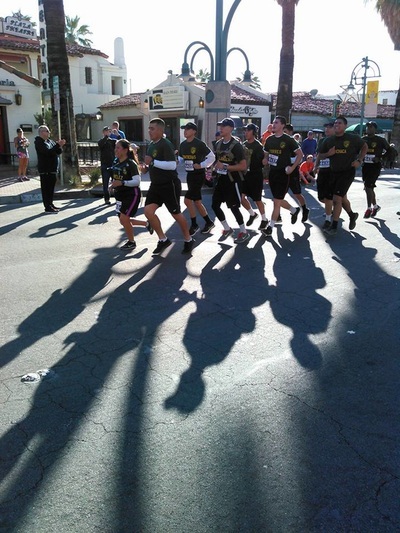 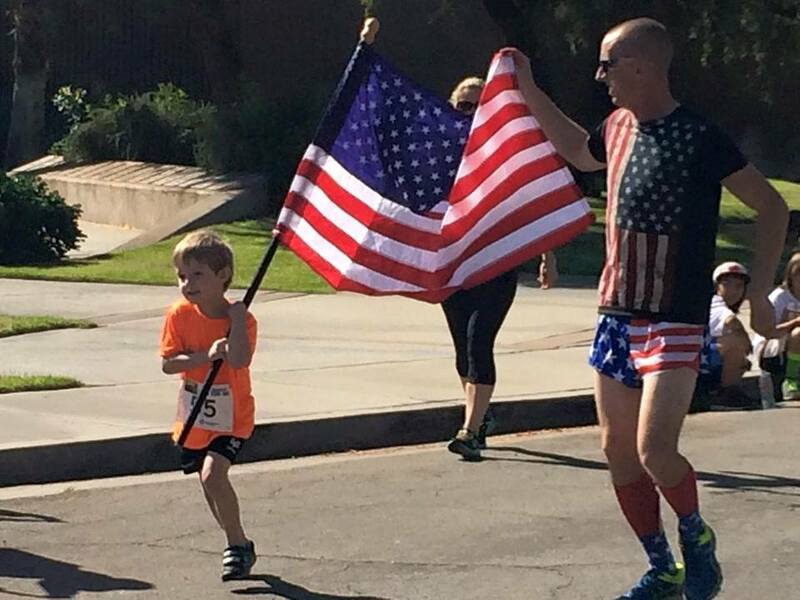 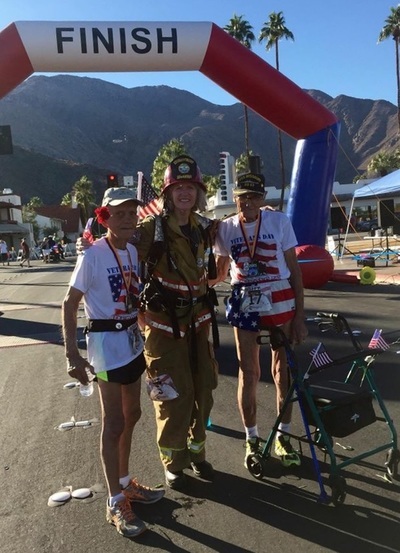 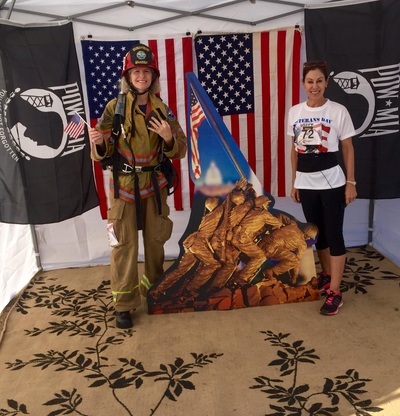 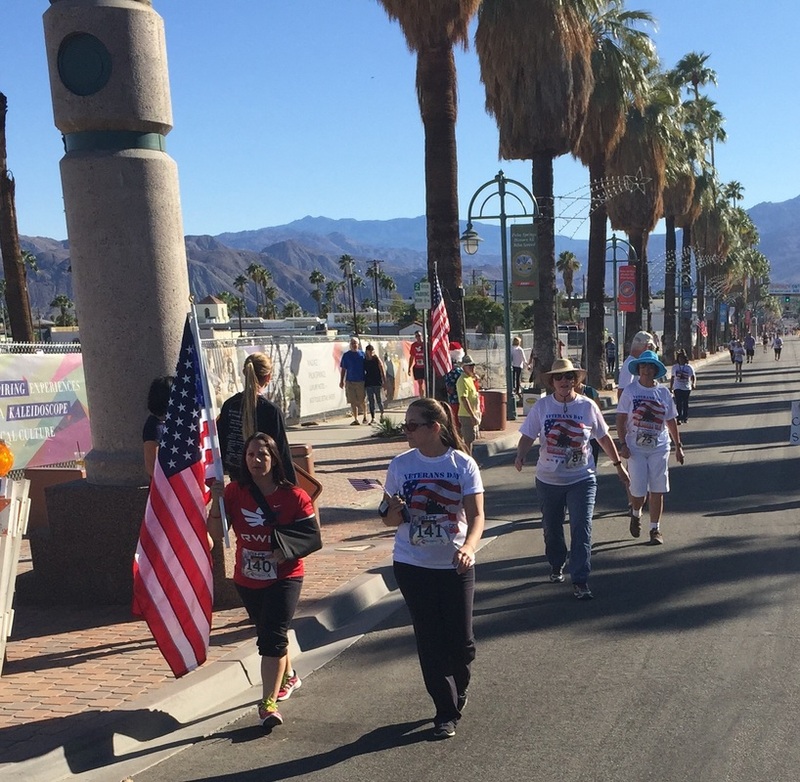 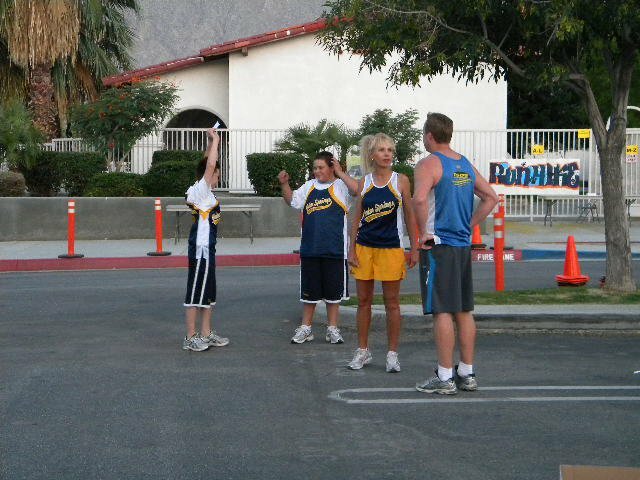 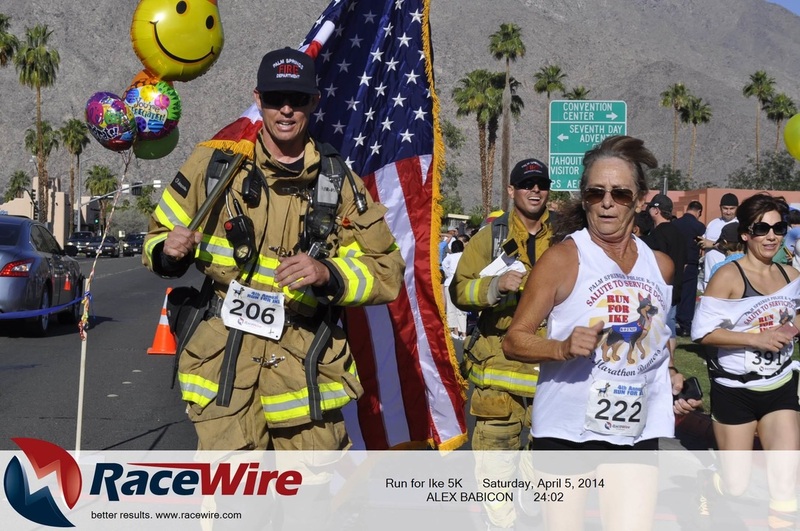 THE 9-11 SALUTE TO HEROES was a community 5K hosted by the PALM SPRINGS MARATHON RUNNERS commemorating the 10th anniversary of the September 11, 2001 attack on America. 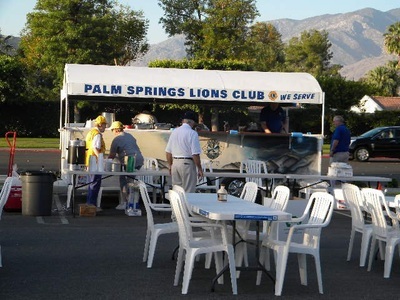 $5,000 was raised and donated to the City of Palm Springs for a permanent memorial that now stands at the city fire department next to the Palm Springs International Airport. 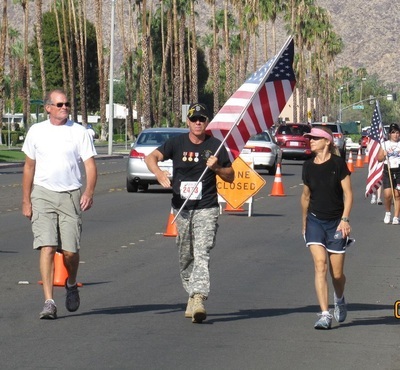 ​Each year, we host a Vetrans Day race to honor the bravery and sacrifices of our active duty military and veterans. 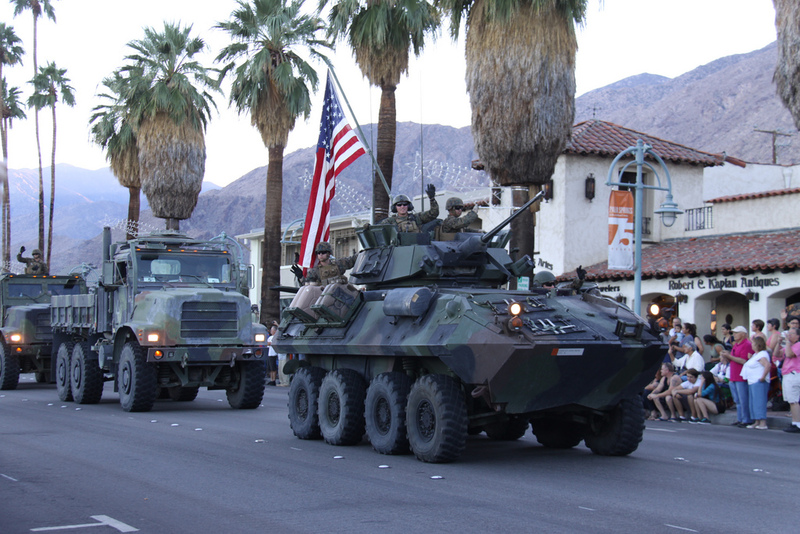 The City of Palm Springs, an event sponsor, allows us to use the parade route prior to their annual Veterans Day Parade. 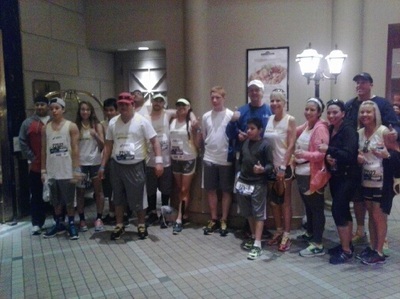 Runners and walkers complete the course and then stay to enjoy the parade, entertainment and fireworks show! 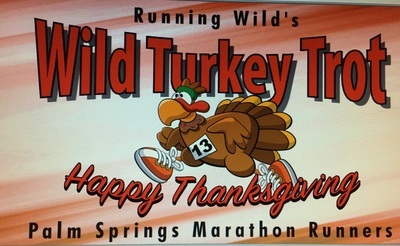 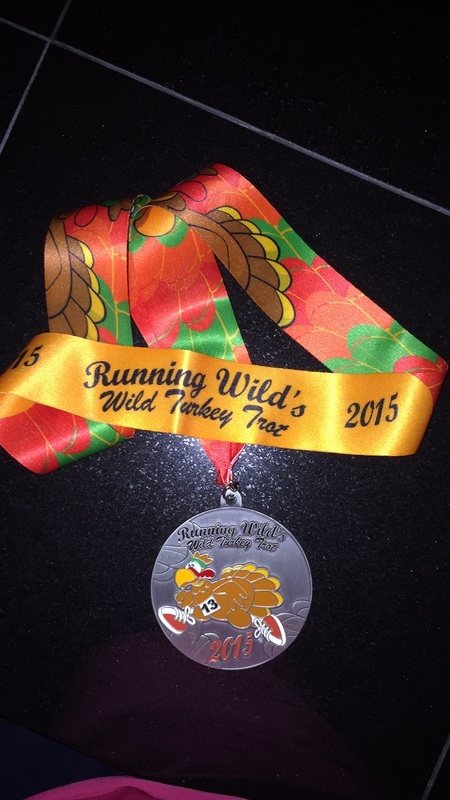 It's the wildest Turkey Trot in the valley! 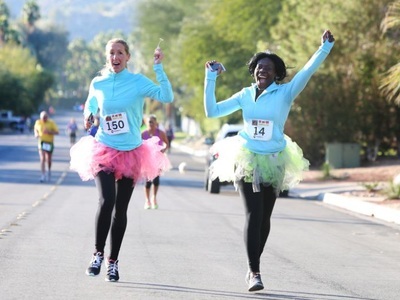 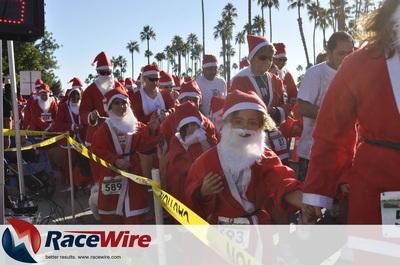 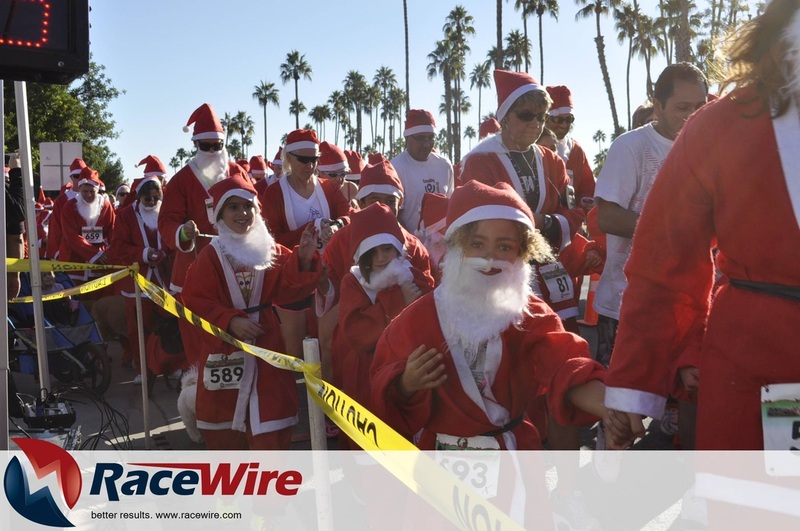 Presented by Running Wild at 611 South Palm Canyon, this race is becoming a fan favorite; attracting participants from near and far! 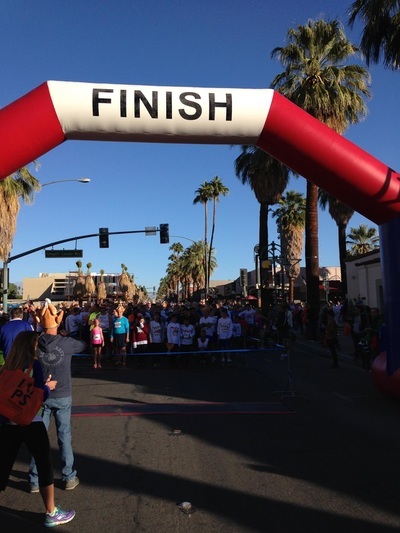 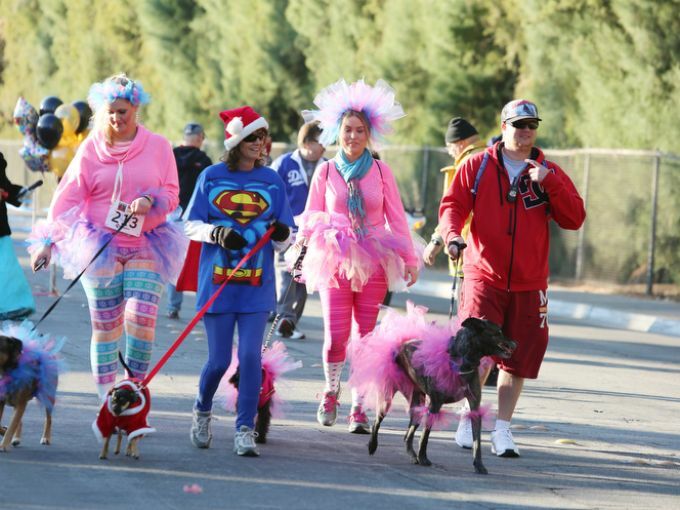 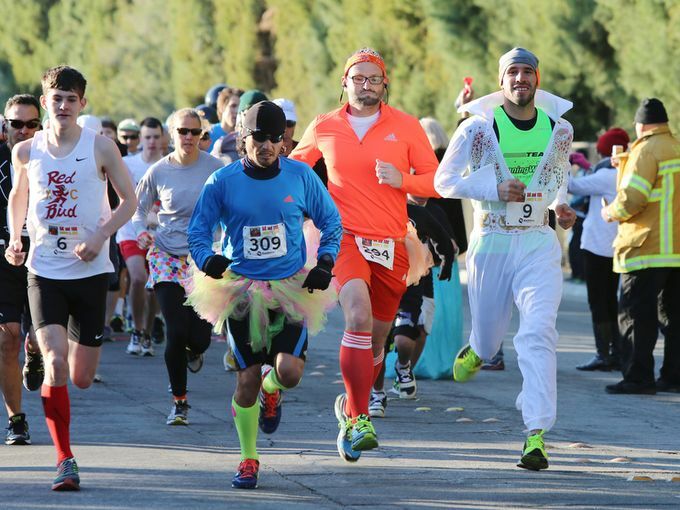 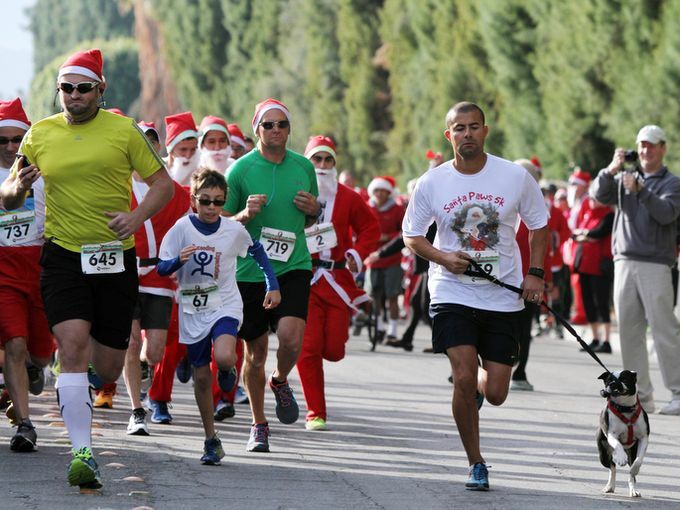 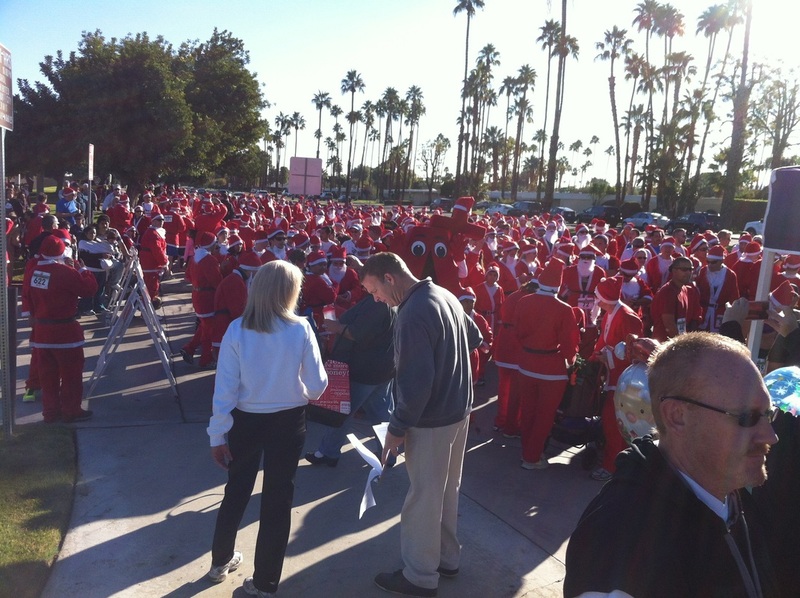 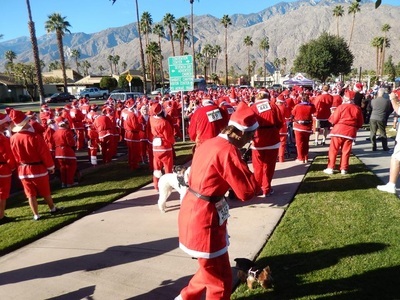 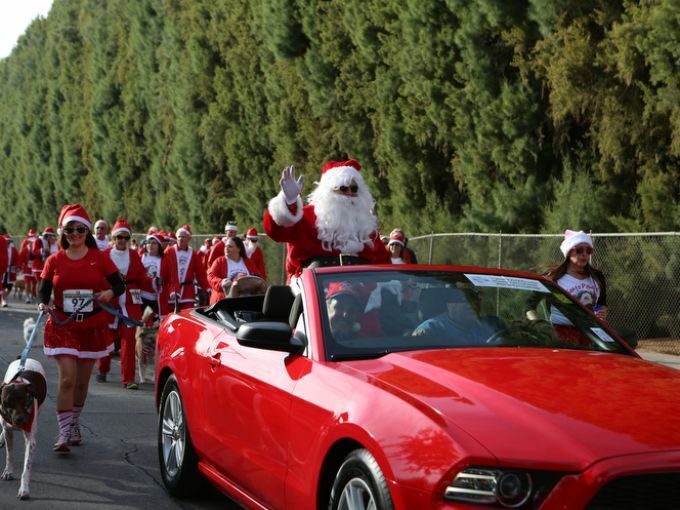 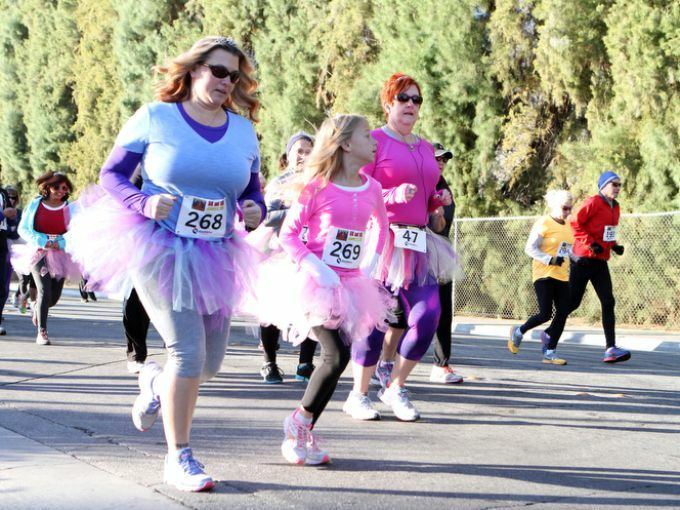 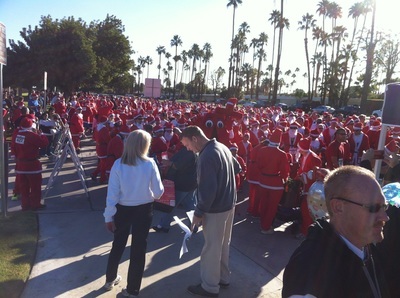 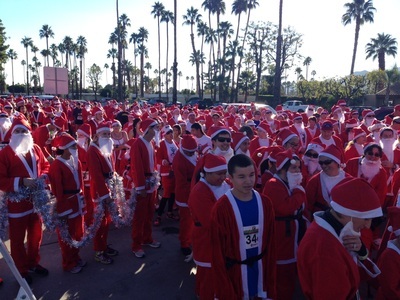 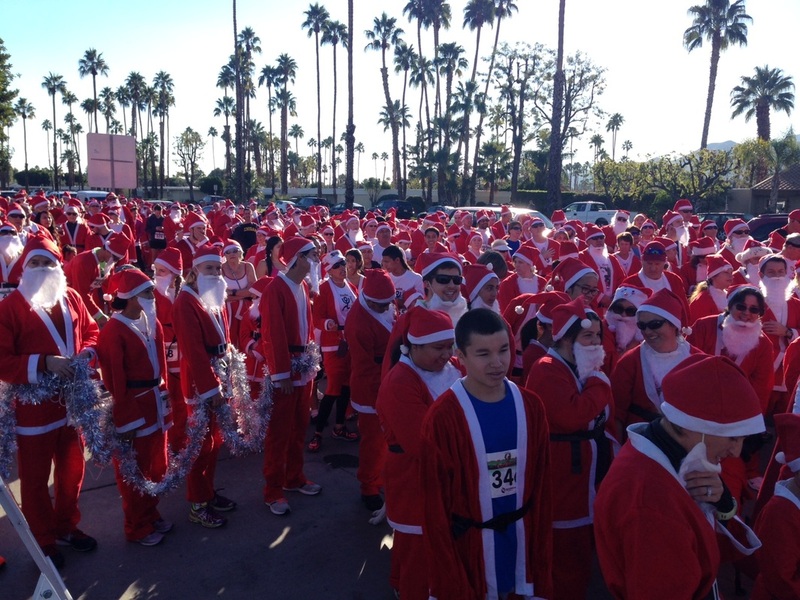 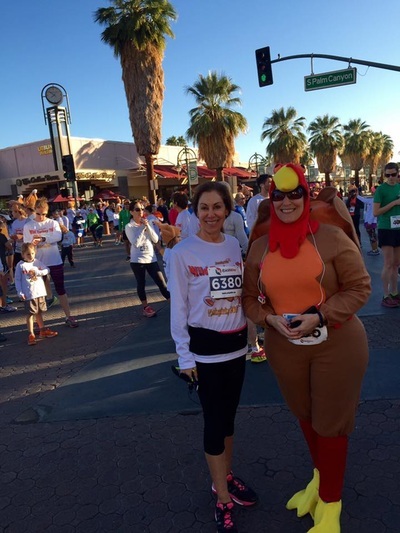 Join us on Thanksgiving morning for this fast and flat course in Downtown Palm Springs. 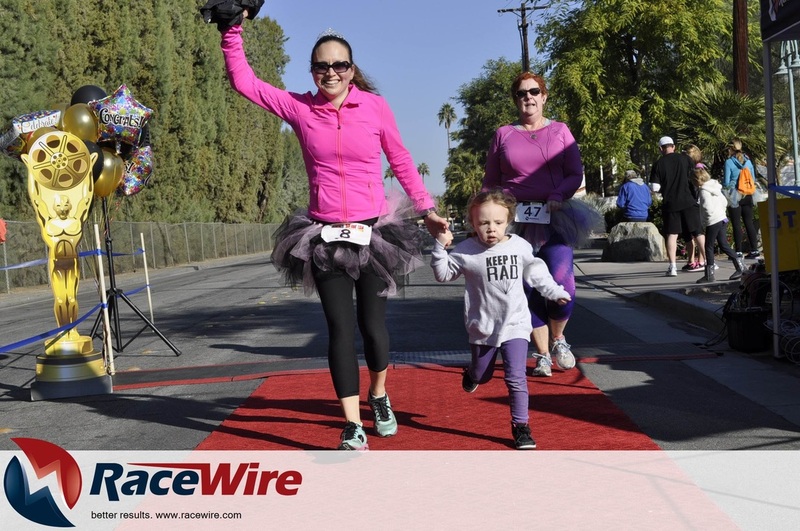 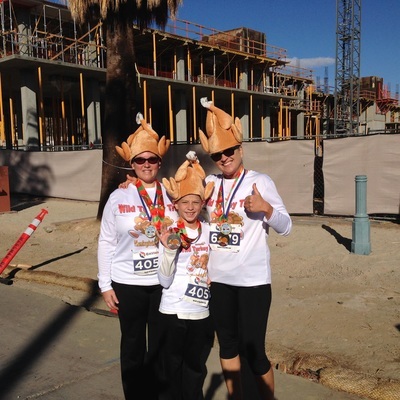 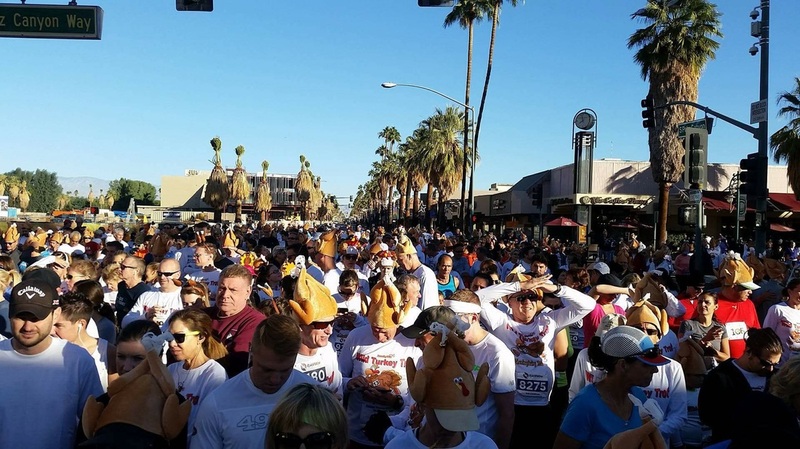 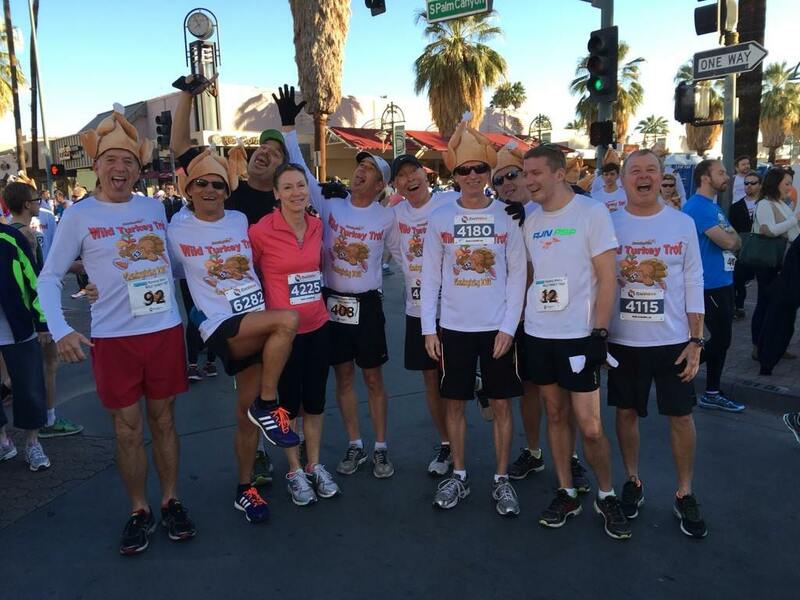 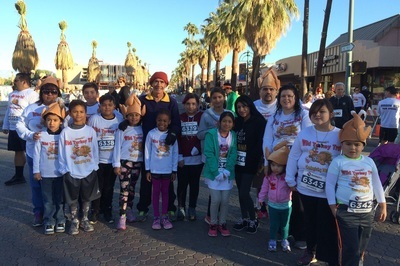 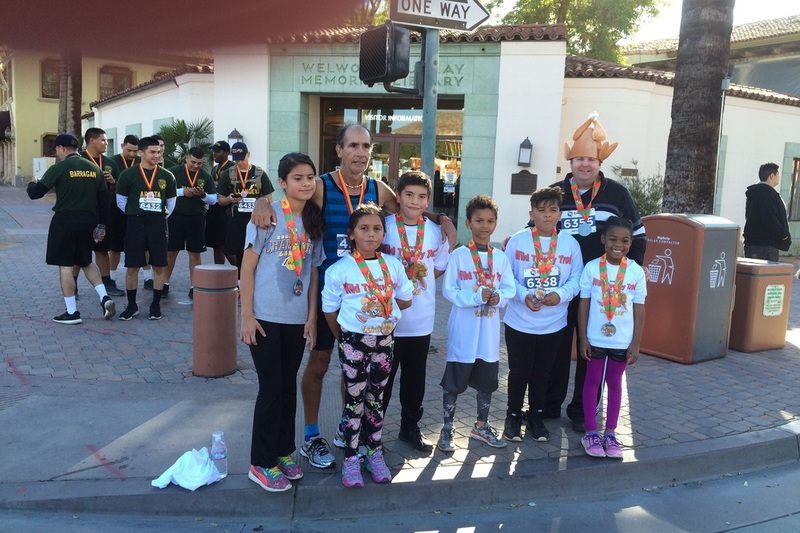 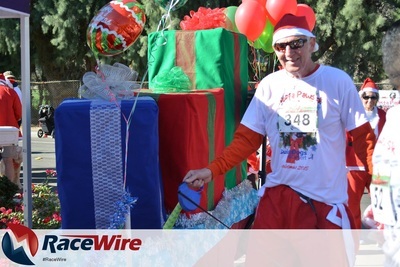 Start and finish right on Palm Canyon - get your long sleeve tech T-shirt featuring Lucky Turkey, a super cool turkey hat, finisher medals for all plus a finish line download! 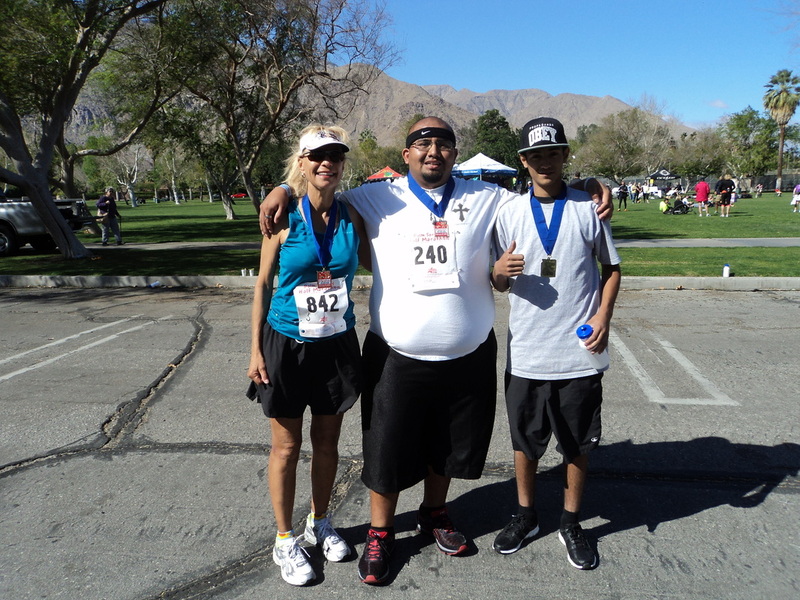 This is a certified course where records are made! 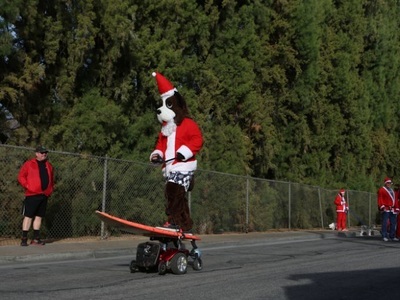 Is this a party or is this a party!!! 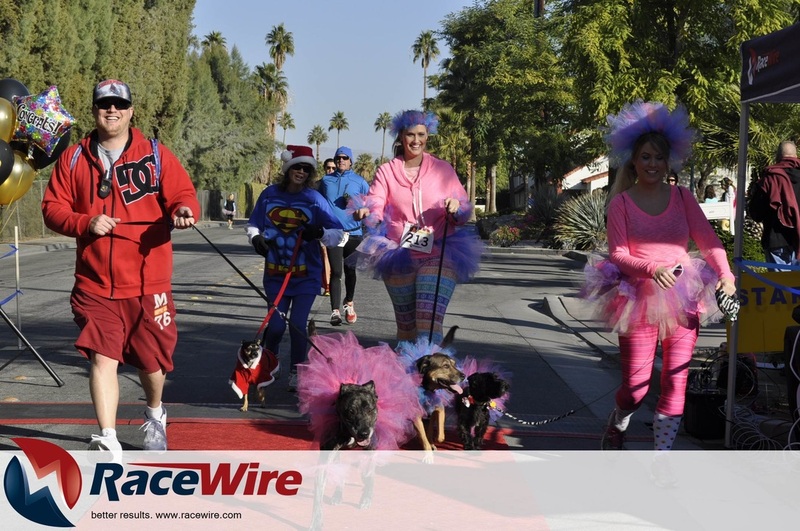 Join us for a morning of glitz and glamor where YOU are the star! 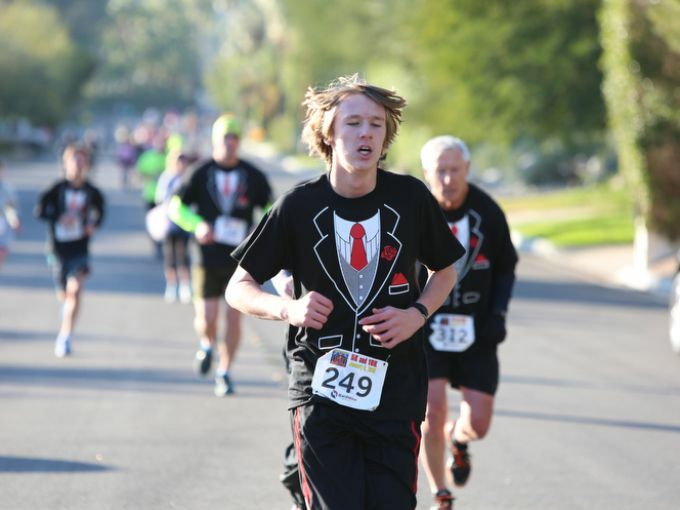 Tuxedo T's for the gentlemen and tutus and tiaras for the ladies! 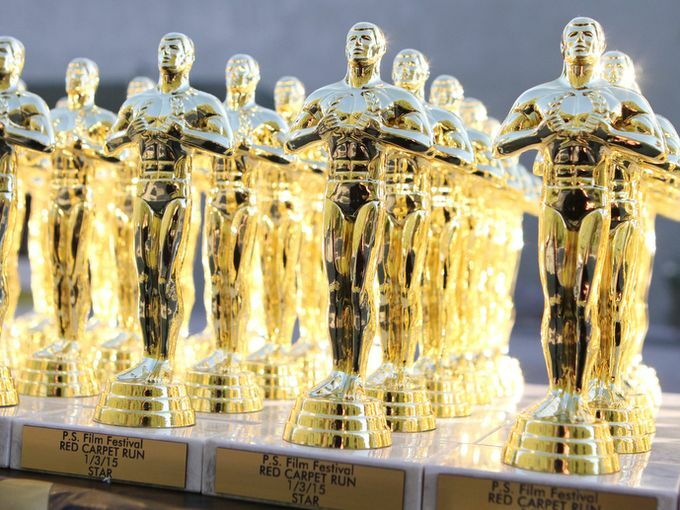 All finishers receive an Oscar Trophy and a champagne glass filled with "bubbly" as you cross the finish line! 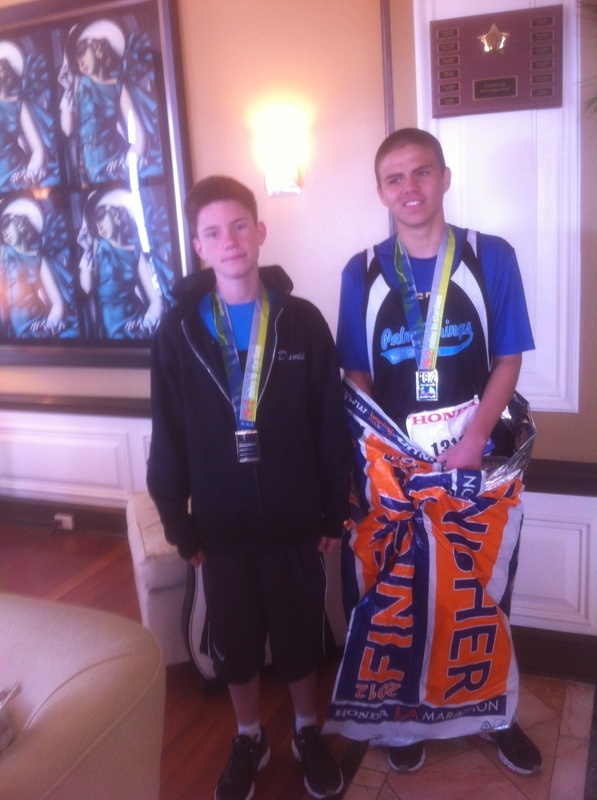 Posed and finsher downloads for all! 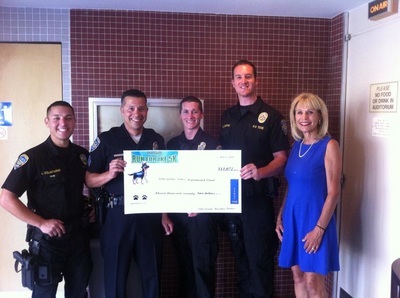 Monies raised support the Palm Springs International Film Festival Student Scholarship Fund.